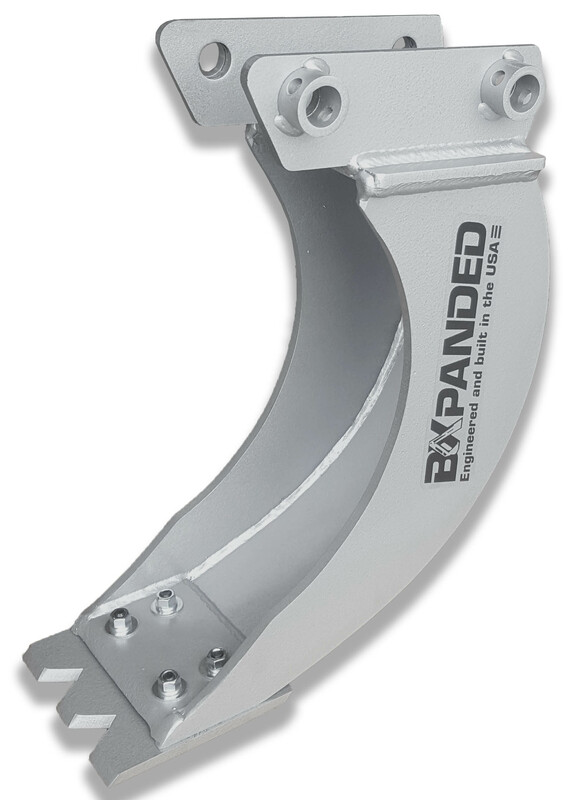 The BXpanded Trenching Bucket lets you dig a narrow trench for utility and drainage installation. No need to dig a 16" ditch for a 4" pipe. The 6" wide Trenching Bucket has cutaway sides to help with dumping excavated material. Sturdy all welded steel. It has a unique reversible edge with teeth on one side and smooth edge on the other side. Unbolt and flip it to match your bucket to your project. Installs easily on the Kubota BH65, BH70, BH75, BH76, BH77, B4672, B4672A, BL4690B, BT750, BT751 back hoes. Fully compatible with the BXpanded Quick-On BH Bucket Connector (sold seperately) that allows attachment changes in seconds with no tools. 6 in trencher works great for French drain work. Very well constructed.